Some people suffering from watery diarrhea are being treated at existing MSF facilities in the capital city. At this stage, cholera infection among the patients has not been confirmed. Cases of watery diarrhea, which were not cholera infections, have not been uncommon in Port-au-Prince since the January 12, 2010 earthquake. MSF medical teams have treated many people with watery diarrhea over the last several months. MSF has a 20-bed cholera treatment center in place and is undertaking necessary measures and preparations at its facilities in Port-au-Prince should people present with cholera-related symptoms. Cholera treatment capacity will expand to close to 300beds over the coming days. MSF teams continue to work with the Haitian Ministry of Health at St. Nicholas Hospital. Plans are underway to erect a cholera treatment center in the town, which should be functional within the week. 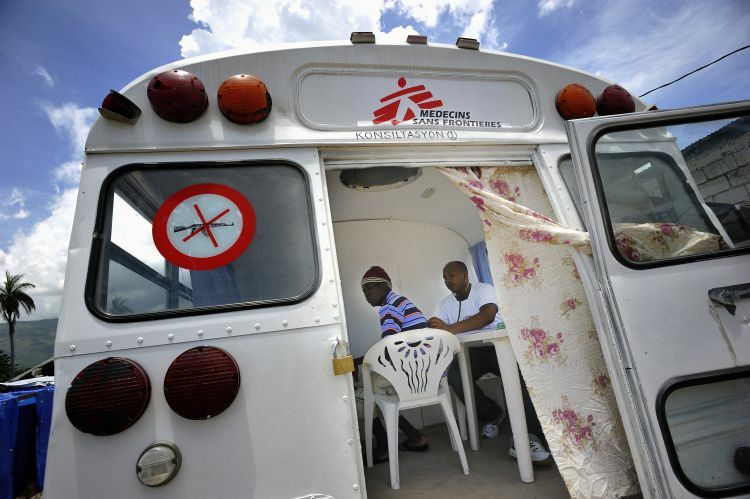 MSF is setting up a 20-bed cholera treatment center in the town. Medical teams today saw 89 cases of watery diarrhea.